Before you plunk down your hard-earned cash on supplements containing vitamins for eyesight, be sure you know which have data to back up the label claims. Studies suggest that people with healthy-to-high levels of vitamin D tend to have a lower risk of AMD, potentially making it one of the vitamins for eyesight. Research has shown that current or former smokers may have a slightly higher risk of lung cancer from taking beta-carotene and vitamin E, which are usually among the recommended vitamins for eyesight. Smokers should not take beta-carotene or vitamin E, either alone or in any AREDS vitamin formulation. More generally, ask your doctor about potential interactions of AREDS2 with any vitamins, including vitamins for eyesight, you are taking, or if you can take them safety if you are at risk for certain conditions, such as prostate and lung cancer. When buying AREDS formulations, check the supplement label carefully. Many supplements advertised as promoting “eye health” do not contain the same vitamins, supplements, or doses that were tested in the AREDS studies. Only the AREDS1 and AREDS2 formulations have been tested as vitamins for eyesight in large clinical trials sponsored by the National Eye Institute. 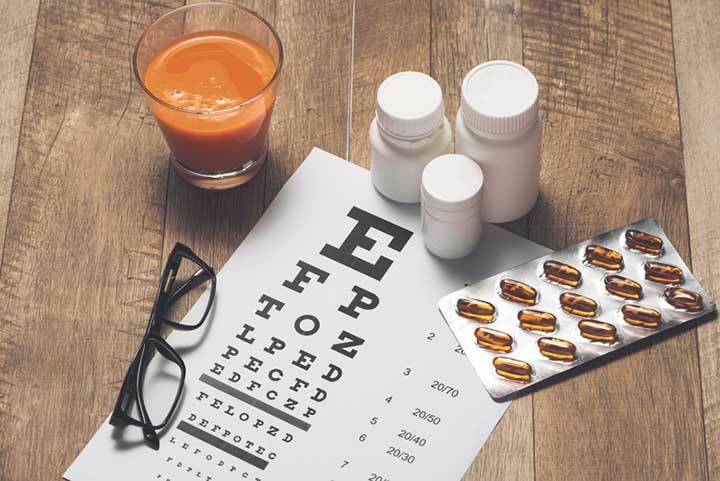 The shelves of retail drugstores offer products touted as ” vitamins for eyesight.” Should you start taking the AREDS supplements even if you are not at risk of progressing to advanced advanced age-related macular degeneration, or AMD? There’s no definitive proof yet that vitamins for eyesight prevent AMD in healthy eyes. Instead, enrich your diet. Green leafy vegetables like spinach, collard greens, and kale are good sources of eye-healthy nutrients. Don’t forget exercise, and stop smoking if you are a smoker; it is a major risk factor for AMD. All of these lifestyle changes will have general health benefits even if they don’t preserve and protect eyesight. A landmark randomized clinical trial known as the Age-Related Eye Disease Study (AREDS) has transformed treatment for AMD. Led by the National Eye Institute, the first phase of the study (AREDS1) ended in 2001. The study findings established that taking high-dose supplements containing vitamin C, vitamin E, copper, zinc, and the antioxidant beta-carotene helped slow disease progression in people who were at risk for developing advanced age-related macular degeneration, or AMD. The study participants who were randomly assigned to take the AREDS formulation of antioxidants and minerals were nearly one-third less likely to experience moderate loss of vision, one-third less likely to develop advanced AMD, and 40 percent less likely to develop neovascular AMD, compared with the participants assigned at random to take an inactive placebo supplement pill. In subsequent research, these benefits persisted in those who continued to take the supplements for a decade following the original trial. However, large observational studies have shown that people with diets rich in omega-3 fatty acids and/or the antioxidants lutein and zeaxanthin seemed to be less likely to develop advanced AMD. Could adding these nutrients to the original AREDS formulation offer further benefits to people at risk of AMD? The five-year AREDS2 trial began in 2006 to answer this question. AREDS2 looked for benefits of adding omega-3 fatty acids; adding lutein and zeaxanthin; adding both omega-3 fatty acids and lutein/zeaxanthin; reducing zinc; and removing beta-carotene (a nutrient linked to higher risk of cancer in former smokers). At the end of five years, none of these alternatives were clearly better than the original AREDS formulation. AREDS2, like the first trial, also found no benefit of “eye vitamins” to preventing cataracts. Some observational studies suggest that people with healthy-to-high levels of vitamin D tend to have a lower risk of AMD, potentially making it one of the vitamins for eyesight. As part of the Carotenoids in Age-Related Eye Disease Study (CAREDS), researchers compared 550 women with adequate levels of vitamin D, a group of 275 with inadequate levels, and a further 88 with clearly deficient levels. The study concluded that women with the vitamin deficiency were significantly more likely to of developing AMD. In women with certain AMD risk genes in addition to very low vitamin D, the increased risk was up to 6.7-fold higher. In particular, postmenopausal women with high levels of vitamin D in their blood are much less likely to develop AMD than women with low vitamin D. It may be that vitamin D reduces inflammation in the retina associated with AMD or prevents the growth of new blood vessels in the retina, both of which can contribute to the disease. We will soon have better scientific data on the relationship of vitamin D to AMD risk. The VITamin D and OmegA-3 Trial (VITAL) is a major study involving nearly 26,000 men and women. The primary goal is to investigate whether taking daily dietary supplements of vitamin D3 or fish oil supplements (omega-3 fatty acids) reduces the risk of cancer, heart disease, and stroke. But VITAL will also investigate whether vitamin D or omega-3 fatty acids reduce the incidence and/or progression of AMD. Using vitamin D supplementation to reduce AMD risk is currently not standard practice. But because most Americans have insufficient levels of vitamin D, it is a good idea to ask your doctor if you should get your blood tested for vitamin D concentration. Normal levels of vitamin D range from 30-74 nanograms per milliliter (ng/ml), according to the National Institutes of Health. Some research suggests that supplements containing vitamins B6, B12, and folic acid might help prevent AMD. Women who take these supplements daily are at more than 30 percent lower risk of developing AMD, although a cause-and-effect relationship has not yet been established. Many older adults take calcium supplements to help prevent age-related decline in bone mass, or osteoporosis. However, some research suggests that such supplements are associated with increased risk of AMD in too high a dose. One recent study found that people who take more than 800 mg/day of calcium are diagnosed with AMD more frequently. The study included nearly 3,200 participants, age 40 and older, in the 2007-2008 National Health and Nutrition Examination Survey (NHANES). 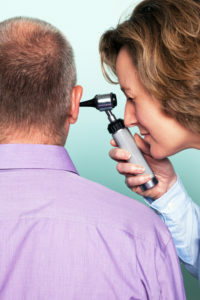 During the study period, 248 survey participants (7.8 percent) were diagnosed with AMD. The older the participants were, the stronger was the link between calcium intake and risk of AMD, a “dose-response” relationship that suggests that exposure to calcium over time may explain the greater chance of AMD. age related macular degeneration, amd, anemia, antioxidant, antioxidants, areds2, b12, beta carotene, bone, bone mass, calcium, cancer, carotenoids, cataracts, diet, dietary supplements, exercise, eye health, eye institute, eye vitamins, eyesight, fish oil, fish oil supplements, health, health and nutrition, heart disease, inflammation, kale, low vitamin d, lung cancer, macular degeneration, nutrients, nutrition, omega 3, omega 3 fatty acids, osteoporosis, postmenopausal, postmenopausal women, Prostate, retina, side effects, skin, smoking, spinach, stroke, supplement, supplements, vegetables, vitamin, vitamin c, vitamin d, vitamin d3, vitamin deficiency, vitamin e, vitamins, vitamins for eyesight, zeaxanthin, zinc.